Paper tubes are cylindrical cardboard containers which vary in size and thickness and are used for a wide variety of applications. Industries have found these tubes to be a cost-effective solution for storing, shipping, mailing, manufacturing and distributing products which are able to be rolled into cylindrical shapes, or packed into cylindrical containers. 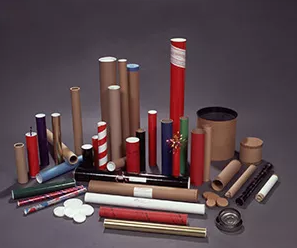 Paper Tubes Paper tubes are cylindrical cardboard containers which vary in size and thickness and are used for a wide variety of applications. Industries have found these tubes to be a cost-effective solution for storing, shipping, mailing, manufacturing and distributing products which are able to be rolled into cylindrical shapes, or packed into cylindrical containers. Many different kinds of paper tubes are manufactured and these are able to be applied in numerous situations. Paper and cardboard are versatile materials and the manufacturing process can be adjusted fairly easily. 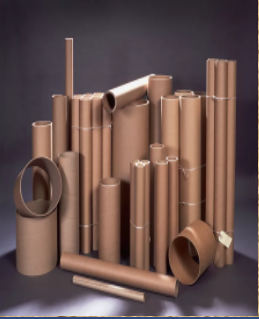 Tubes are made from wood pulp bases including fiberboard, paperboard, kraft paper and paper-adhesive composites; many of these harder paper-based materials are generically considered cardboard. The wood pulp materials are formed into ribbons which are spiral-wound for tensile strength and often contain multiple layers. These ribbons may also be mixed with adhesives which dry hard and improve the structural strength of the cylinder. Thickness of tube walls, length and diameter are all variable according to desired application, and paper tubes are sometimes coated or lined in wax for temperature and moisture resistance or for shipping in humid environments. In other cases, tubes can be manufactured with foil for moisture protection or decoration, or kraft paper on the exterior of the tube for decoration, printing and labeling. For holidays and festive seasons, specialty paper tubes can be made with colored and patterned papers which are commonly used for sending gifts. Most food-grade paper tubes are foil-lined to protect the food from contamination, and paper tubes made for military applications are often wax-coated for heat resistance. Electrical-grade paper tubes are moisture resistant and are used as insulators for connector wires.